Calling all photographers: You know you need a website to reveal your wonderful prints, but what is the best way to display your artwork? Portfolio websites have a certain allure. Some folks even opt to place most of their collection on sites like Flickr or on Facebook. But I’m here to tell you that free photography WordPress themes are where it’s at. In my opinion, you can use Flickr and Facebook for sharing, but you also need a website designed just for photographers. The portfolio template works fine, but some of these are made for general portfolios and not just for high-resolution photos. You need a photography theme. One that makes your work pop no matter what page the viewer has landed on. You know what’s even better? 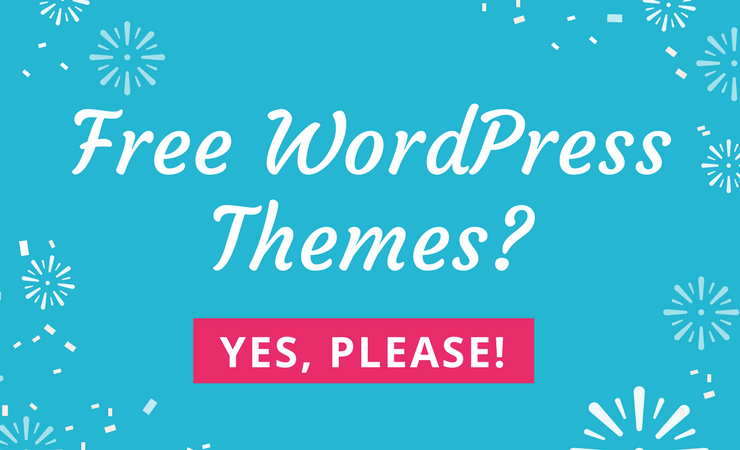 Free themes! That’s precisely what we’ve put together here for you today. A collection of free themes that are aimed at photographers who need a specific solution for showcasing their best work. All of the themes included here have outstanding portfolio features, of course. But they also include gallery options, including lightboxes, slideshows, and more so you’re certain to find the right look for displaying your work. These themes also come with social media integration, contact forms, and stylish layouts so finding the right presentation is never a problem. Let’s take a look at the coolest themes for photographers currently available. 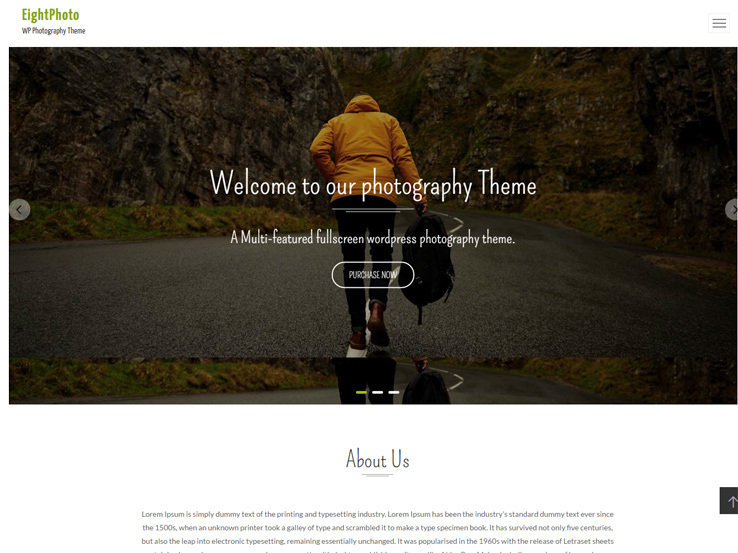 Fotography is an outstanding photography WordPress theme by AccessPress themes. This responsive theme is perfect for professional photographers, photo bloggers and photo journalists. 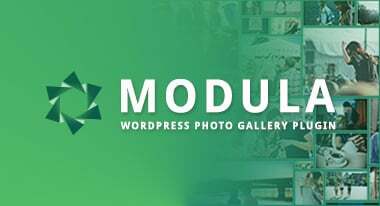 The theme comprises beautiful homepage with the latest photos in grid format, category-based grouping of galleries, 3 page templates, multiple blog layouts and much more. The theme is fully SEO-friendly and translation-ready. It comprises lots of powerful options and possibilities. It includes 4 different gallery page layouts, single gallery layouts, multiple blog layouts, and lightbox view. Building a complete WordPress photography website is easier and faster with Fotography. 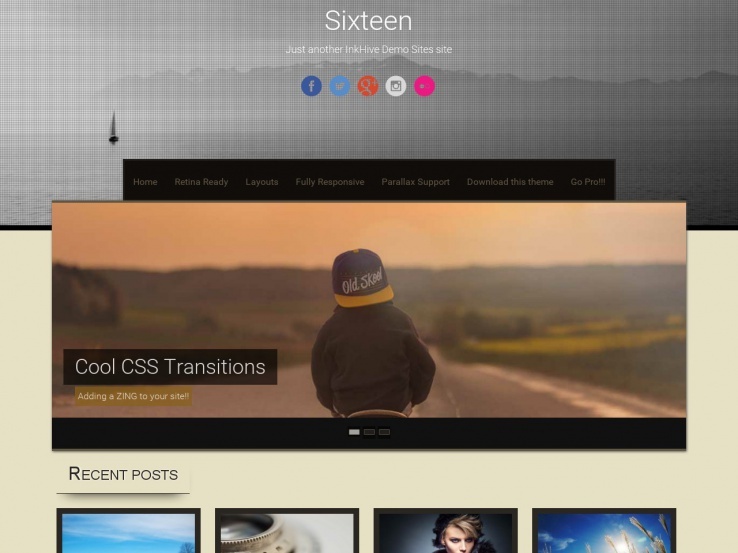 EightPhoto is a clean and beautiful WordPress theme ideal for photographers and photo bloggers. The themes comes with spectacular design and powerful features. It has a beautiful slider section, service section and Instagram showcase that makes your site more attractive and engaging to visitors. Based on the Live Customizer, you can customize most of its elements with live preview. 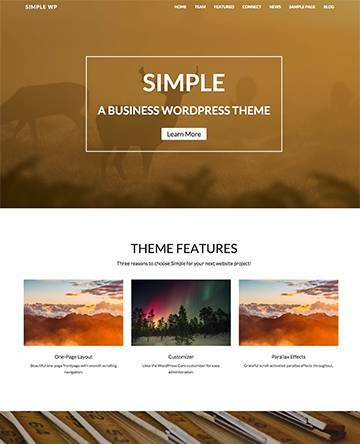 It is a fully responsive and user-friendly WordPress theme that includes multiple web layouts, beautiful slider, eight homepage section, blog page, archive page and single page gallery with multiple layouts. The theme comes with an intuitive interface so that anyone can create a stunning website in no-time. Would you like to create a digital portfolio to introduce your brand and showcase your best works? Then take a look at Photo Grid. 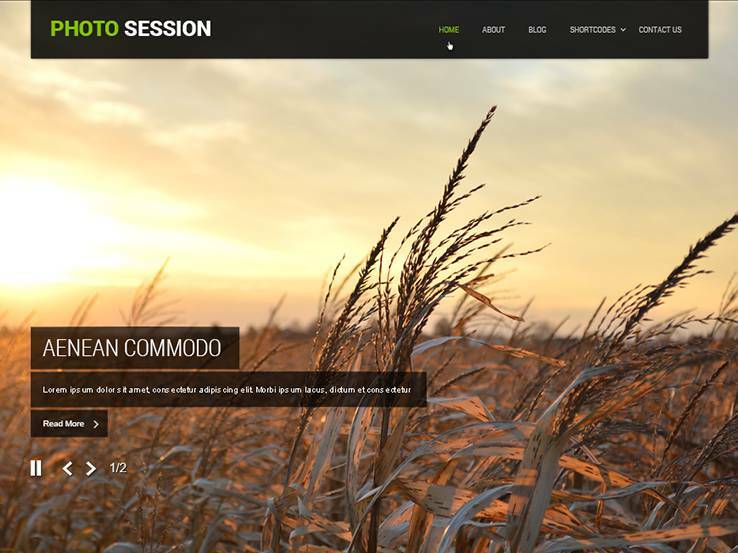 This free photography WordPress theme can help you build a professional online presence. It features a grid style layout, intuitive navigation, and elegant typography. 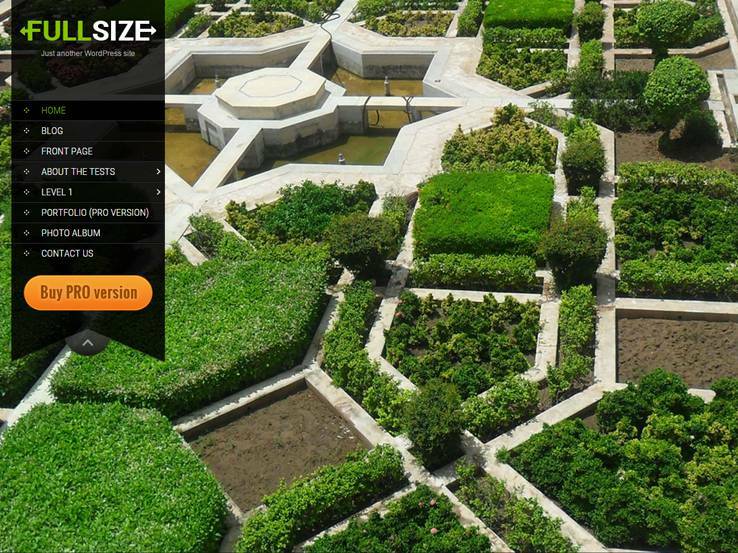 A minimal design and interactive images ensure a clean and engaging user experience. 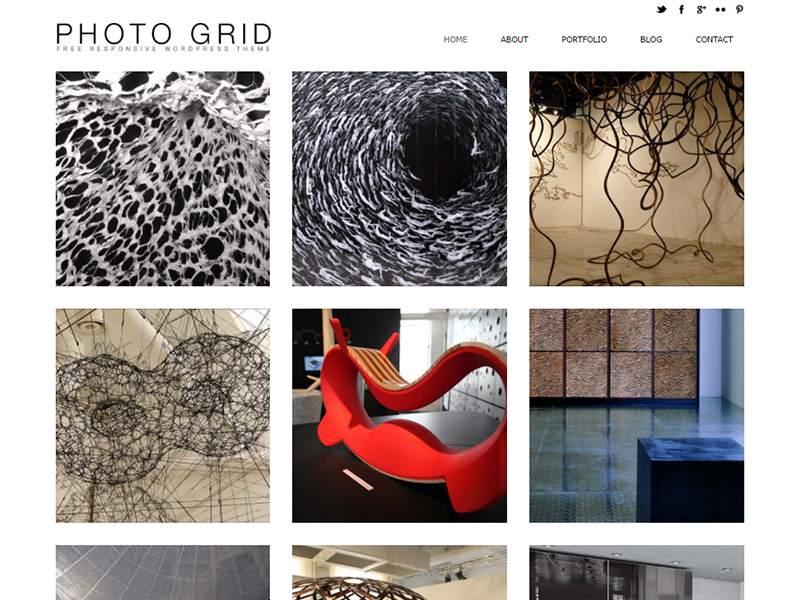 With Photo Grid it is easy to build a portfolio website even if you don’t know how to code. 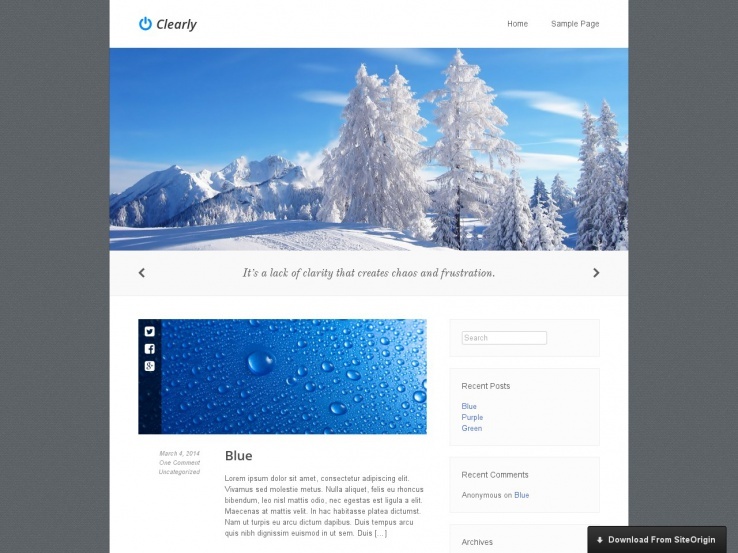 This WordPress theme is responsive, SEO friendly and easy to customize. It will be a great help for photographers, freelancers, and other creative folks who would like to promote their art online. 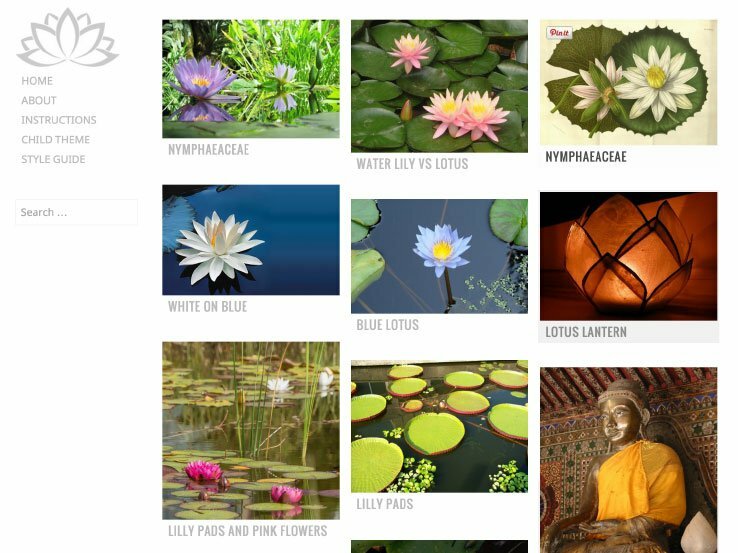 The Water Lily theme is one of the quintessential photography WordPress themes since it’s focused primarily on the photos that you place on the homepage. The theme includes a small menu on the left-hand side of the homepage, but overall it’s very simplistic and minimal, leaving much room for your photos to breathe. The responsive theme uses two columns and is a great choice for anyone who wants to put the main focus on their photos. 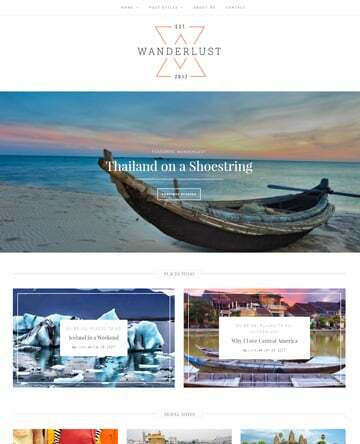 The SoloFolio theme uses custom widgets and drop-down menus and it allows you to clearly display your photography portfolio to potential clients.The theme also integrates with WooCommerce in case you want to start selling some of your photos and includes social media icons allow you to easily grow your social media following. In terms of design the theme is rather simplistic, but once you start playing around with it and add some of your high-resolution photos, you can really make it pop. Clearly comes with a stunning slider to showcase your latest work. This theme is fairly straightforward and allows photographers to easily create a professional website. Create your own portfolio and use the Page Builder to tweak the layout of your pages without the need to touch a single line of code. Should you need any help with the theme setup, you can always find support on the official forums. 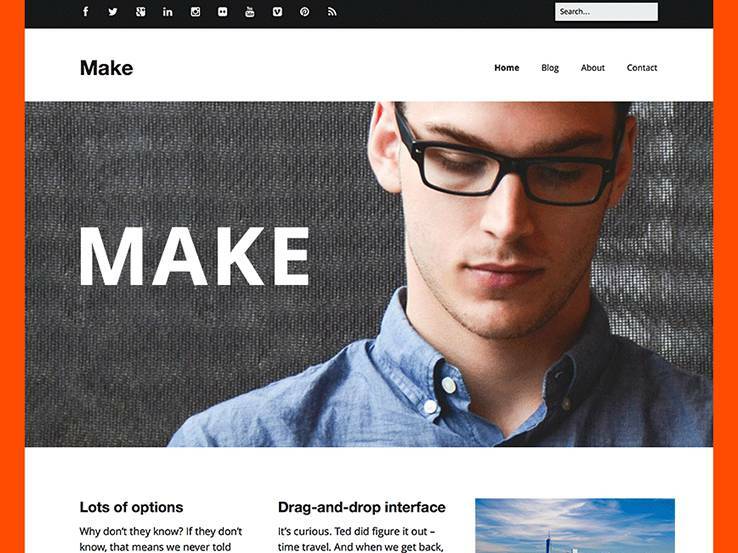 Make theme from ThemeFoundry allows anyone to create a gorgeous website, photographers included. The best part of this theme is the social media integration which makes it easy to connect with your audience on their preferred social media networks and to share your content. The theme is built so that you never have to touch a line of code. The drag-and-drop builder allows you to easily manipulate the layout of any page on your website. Create a portfolio or photography site and customize the site by adding your logo or change the background and the fonts. This truly is one of the more customizable themes on this list and to top it all off, the theme is fully responsive. The PhotoMaker WordPress theme is a great choice for any photographer since it offers an easy to use settings panel with customization features for logos, backgrounds, and intro texts. The initial design looks a little feminine but you can easily change the colors depending on your preferences. You can change the post formats and set featured images and thumbnails to create a unique look and feel. The PhotoMaker has all the tools you need to create a beautiful portfolio for your photography. The Zerif Lite theme is a multipurpose theme but it also works great for creating a sleek portfolio website. The theme utilizes a single page to provide the ultimate scrolling experience for your viewers, no matter what device they are using. 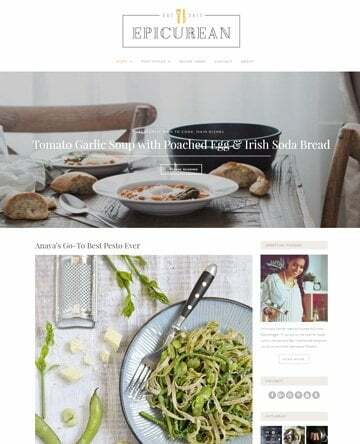 The parallax header adds another layer of visual appeal to your site and you can even integrate the theme with WooCommerce if you plan on selling your photos in the future. 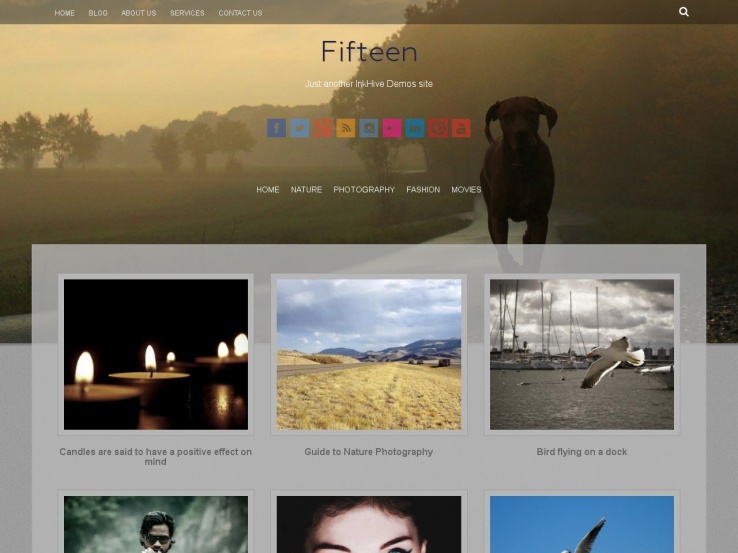 The Fifteen theme is both fun and unique compared to many of the other WordPress photography themes out there. The social media buttons blend well with the parallax header background at the top, and the menu makes it easy to navigate your website. The homepage includes a portfolio thumbnail layout for your photos that have interesting animation effects which turn into photo descriptions. Click on one of these photos and it brings you to a regular blog post where you can include additional details about the project along with any other media. 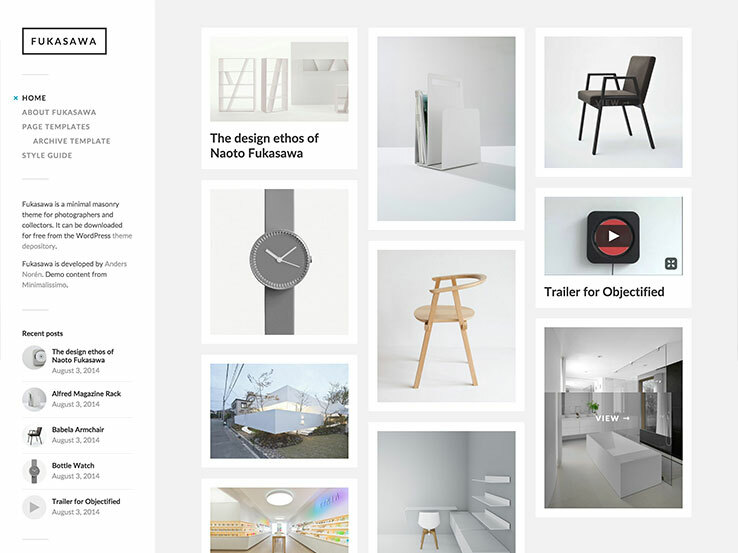 Aside from a unique name, the Fukasawa theme has a sleek and stylish design and plenty of options for creating a beautiful photography website. 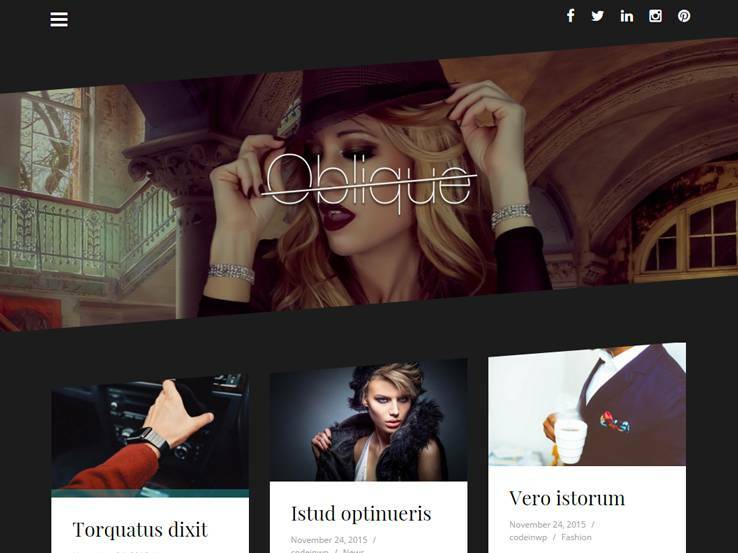 This WordPress theme has stellar ratings and it’s a masonry-style theme, which is a great way to showcase your photos. The minimalist theme is responsive and retina-ready, allowing everyone to view your website regardless of the device they’re using. Incorporate video and image posts, and play around with five custom widgets to create a beautiful, interactive website. 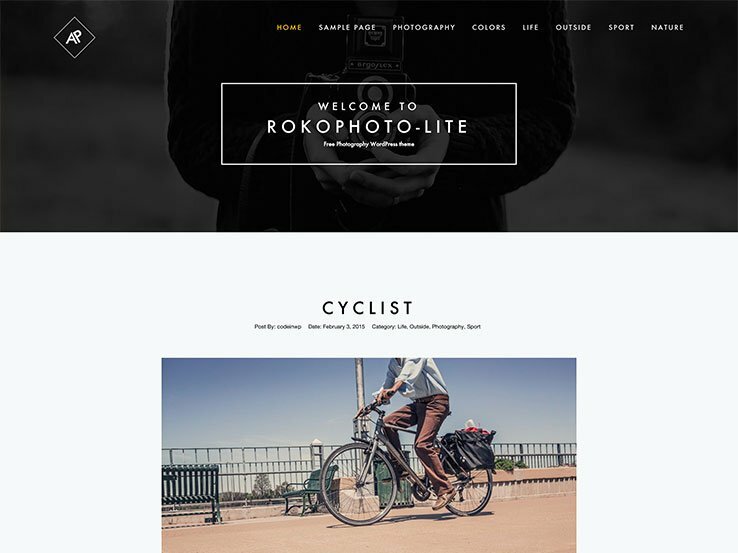 The Rokophoto Lite has a stunning header which allows you to easily grab the attention of new visitors. The footer integrates well with all of your social networks and the entire homepage is dedicated to a scrolling blog feed. This makes the theme very minimalist and ideal for those who want to put the focus on their content. The responsive design has clean code and the ability to make some nice changes without touching a single line of code. On top of that, the Rokophoto Lite theme has a sticky menu which makes your navigation easily accessible. Sparkling includes a wide slider to showcase some of your best photos. The flat theme looks similar to a premium theme but it’s completely free which makes it even more attractive. The theme comes with an author bio, social media integration, and a popular posts widget to display your latest blog posts with ease. The best part is that the theme includes tons of theme options for customizing fonts, colors, backgrounds, and more. Oblique is for photographers aiming to share their best work with clients, customers, and everyone else in between. This free masonry theme offers you a unique solution for sharing images while also keep content at the forefront. To start, craft your sliding sidebar menu so that it doesn’t get in the way of your beautiful photos, but still keeps the user experience positive and navigation easy. 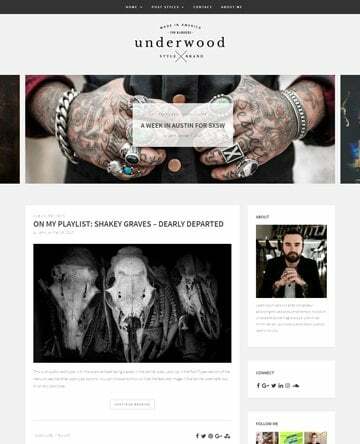 In addition, style your blog with beautiful typography full of whitespace and large featured images. 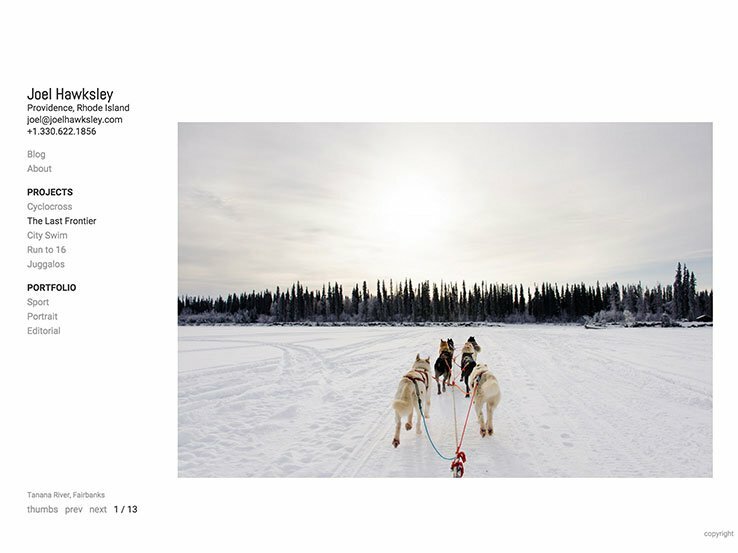 This free photography theme also provides clean code, fast performance, cross browser compatibility, and mobile-friendliness paired with responsive design. Plus, you can extend your reach even further with Oblique’s translation capability. In the end, beautifully colored featured posts with amazing imagery will lend your readers the encouragement to continue browsing your site for more. The Sixteen theme is a close cousin to the Fifteen theme we talked about above, with its clean thumbnails and simple header for sharing one of your best photos. The theme is fully responsive and the footer and header are customizable so you can easily add a touch of your own style. Keep the grid layout for the homepage to present your photos in an organized fashion and to create a great first impression on your website visitors. 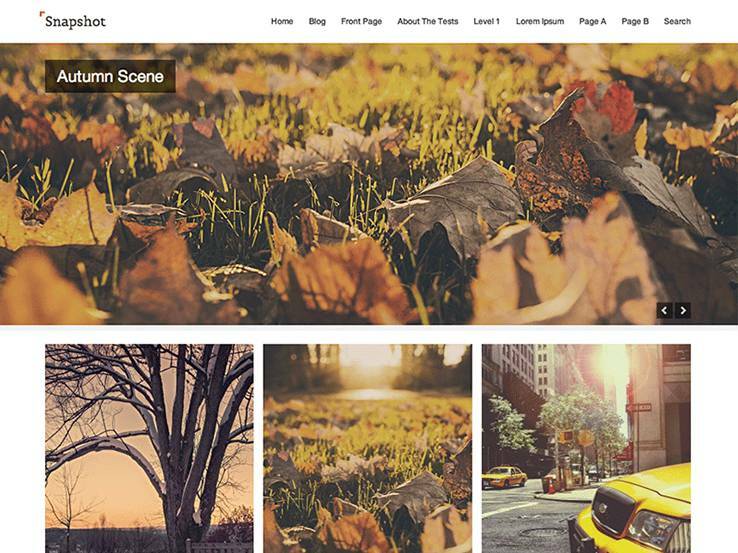 The Snapshot WordPress theme was built exclusively with photographers in mind. The best part about the theme is that it comes with a drag-and-drop page builder which makes the design process much easier. The menu is simple and elegant and the homepage slider stretches across the page to display some of your best work. When you scroll down below the slider you’ll notice a nicely laid out grid that has the rest of your portfolio organized into columns and rows. Each of the photos provides a short description when you scroll over them. The SKT Full Width theme is by far my favorite option for photographers. The theme’s design looks like this is a premium theme but the best part is that it’s completely free. The theme is sure to impress anyone who lands on your website as it allows you to showcase your best photos as full-width backgrounds. Menu items overlay the background and you can customize anything from logos to colors. It’s perfect for creating a portfolio website and you can even integrate it with WooCommmerce in case you want to sell your photos as prints or even digital downloads. 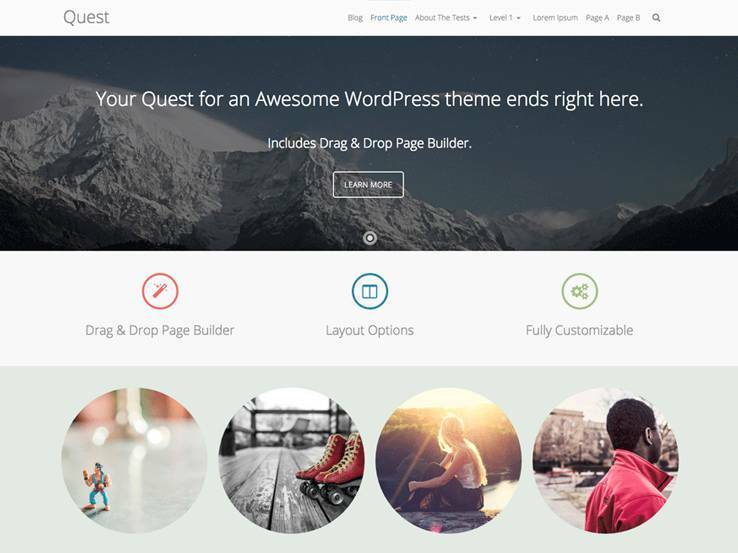 The Quest WordPress theme is a great choice for all photographers who are interested in a simple, yet elegant solution for displaying photos. The theme comes with support for a blog and portfolio, allowing you to show off your most recent photos, along with any other content you may want to talk about. ECommerce support is also available so you can start selling your photos or any other products. Customize every aspect of your website including background colors, images, layouts, and more. The responsive layout uses sticky posts and threaded comments to improve user engagement and build a community around the content you post. On top of that, the Quest theme provides integration with BuddyPress, so you can run your own little social network. 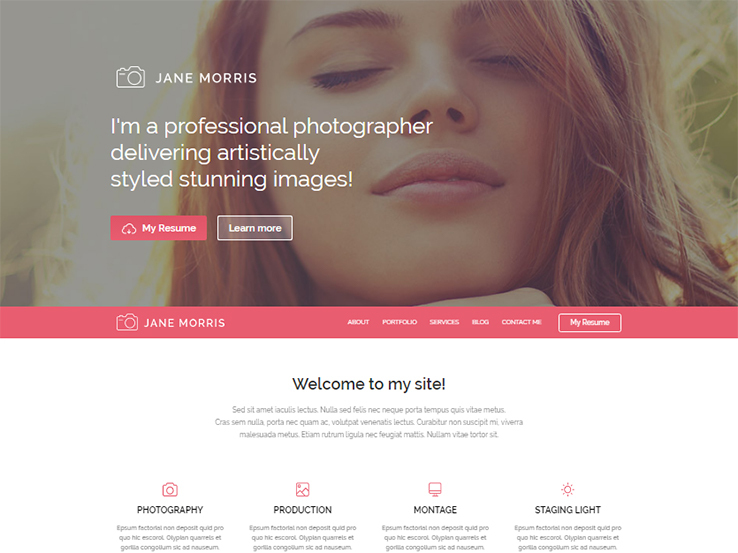 Jane Morris, designed by TemplateMonster has an engaging design and rich functionality. It would be a perfect choice for a photography related website. Fully responsive design allows anyone to view your website no matter which device they’re using while Parallax effect and lazy load add extra visual appeal to your website without slowing it down. The theme is fully customizable. 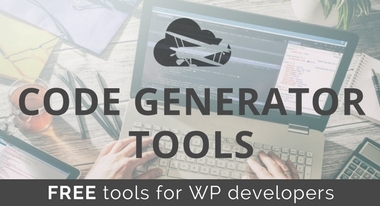 It has custom post types and post formats, 80 shortcodes, fantastic sliders, custom widgets … Everything you need to create the website visitors won’t want to leave. 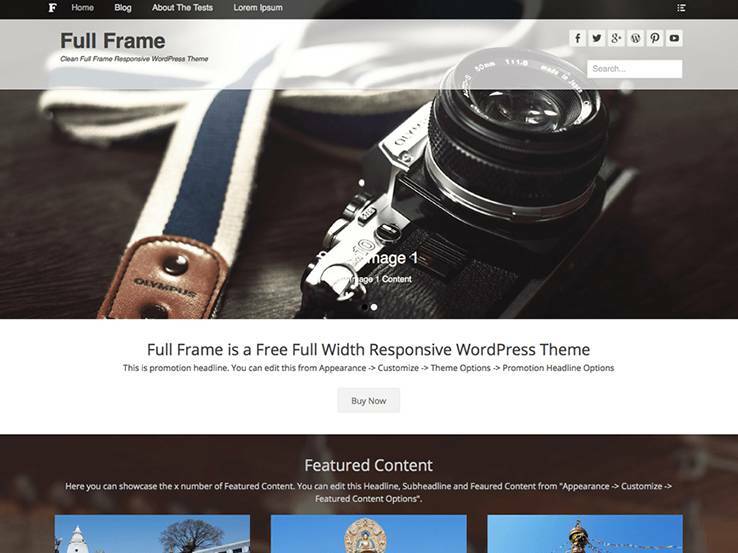 The Full Frame theme includes a large header image and sleek social media buttons directly integrated into your website. The logo upload and featured content areas are easy to manage and the simple and clean layout ensures that all of the focus is on your photography. The Theme Customizer allows you to easily customize your website and you can include a blog as well as a portfolio area. Custom colors and backgrounds allow you to create a website look that matches your brand and featured images are a great way to entice your visitors to click through to your best content. The theme also incorporates threaded comments to maintain engagement and the responsive layout ensures that everyone can view your website on mobile devices like phones and tablets. 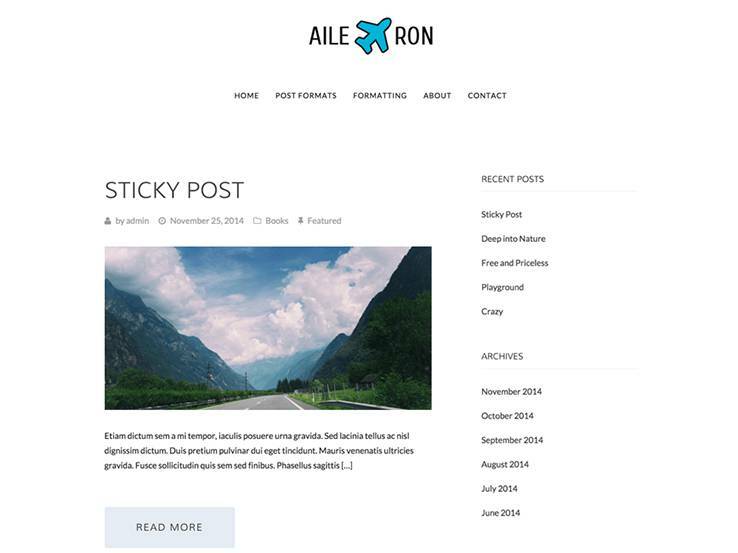 Consider the Aileron theme for your photography website if you enjoy a minimalist design with a clear view of your logo and photography-based content. The theme is geared for magazines and blogs, but the simple layout allows you to create a wonderful portfolio or photography feed. Change the colors and upload your own custom background while the responsive layout ensures your website looks good on any device. Posts formats are easily changed so you can include a variety of content. The header image is completely flexible which means you can easily add a touch of your own style. Keep in mind that the theme is designed to work as a two column layout so you can include widgets in the sidebar for anything from recent posts to social media buttons. 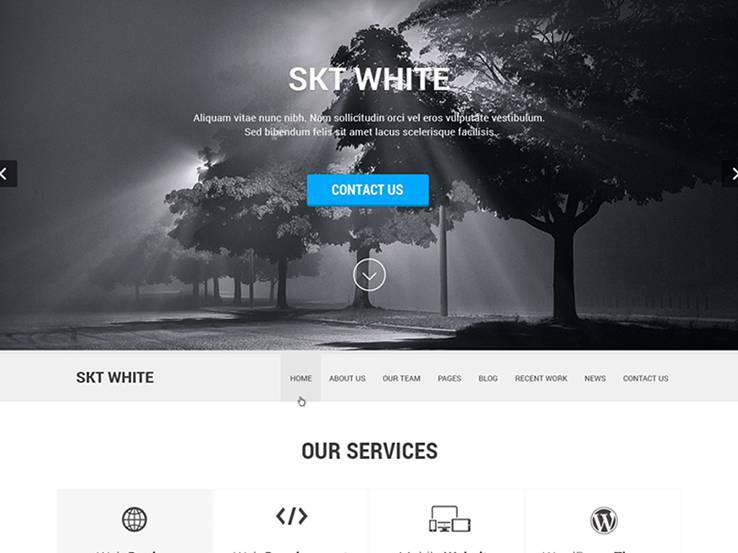 With the SKT White theme, you have various opportunities to show off your images, with a stunning full-width header and call to action buttons that you can overlay on top of it. This is a great way to provide a brief description of your website and to drive traffic to your sales pages. The theme is highly customizable and allows you to easily add tabs and pages for anything from a blog to a list of your services. Place a Recent Work page on your website to share your portfolio and include a simple Contact page so potential clients can reach out to you and hire you in the future. Translation support comes with the download and the custom headers and backgrounds are a great place to start incorporating your own brand into the website. 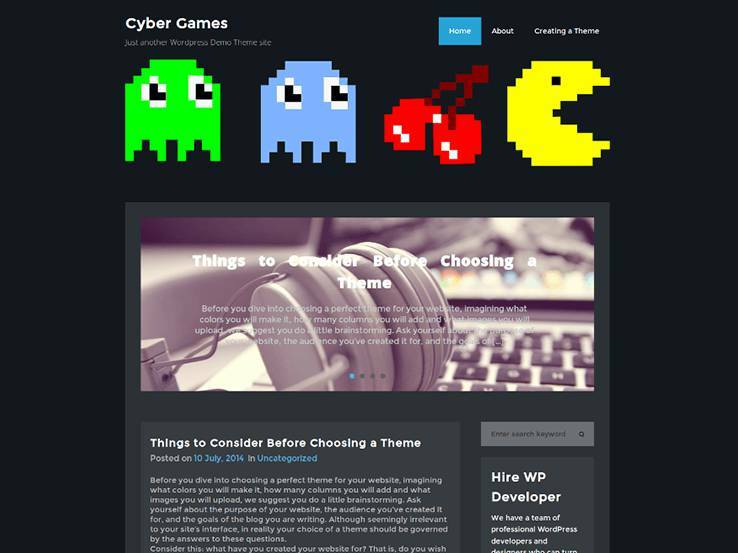 CyberGames offers a technological/gaming spin to your photography site and the design is one of simpler ones on this list, putting all the focus on your work. This interesting and flexible theme has a fixed layout to eliminate all the distractions from your website. Custom menus make it easier to navigate your website and the sticky posts are ideal for improving interaction and engagement on your site. Threaded comments are another bonus for those photographers who want to build a following and the translation-ready nature of the CyberGames theme means you can translate your website into any language. With two columns, you should have more than enough room to place widgets and other content such as recent post lists and featured content. The default layout has a dark blue color scheme but you can easily customize it to match your own brand. The SKT Photo Session theme is often used for photo studios and creatives who want to make portfolios since it has a responsive design and several areas to showcase your most beautiful images. 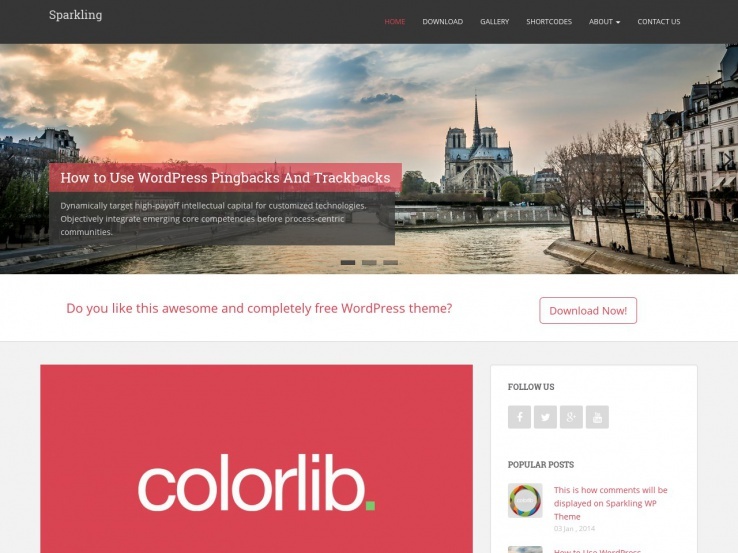 The simple theme options enable you to upload logos, change colors, and modify typography, while several plugin integrations allow you to install plugins like WooCommerce and Contact Form 7. The WooCommerce integration is ideal for those who want to start selling their photos through the site while the Contact Form 7 plugin makes it easy for potential clients to get in touch with you. The large header area takes up most of the screen space and it allows you to add a slider with overlaying text and buttons, acting as a landing page to send people elsewhere on the site. Change the custom background to include your own stunning image and take advantage of the threaded comments to generate conversation on your site. Create up to two columns for a nicely organized layout and implement your own blog to improve your SEO and to publish valuable information and tutorials for your followers. The Snapshot WordPress theme is a wonderful free theme for photographers because it keeps things simple and modern. It has a beautiful slider and a grid-based layout below that slider to show off your photos in a professional fashion. The Snapshot theme offers a solid drag-and-drop page builder which keeps your hands free of any source code, while the custom background is a great way to include a large background image to represent your brand. Custom colors, headers, and menus are all included with the free Snapshot theme, allowing you to modify just about every part of your site. The blog page shows your recent posts in a list layout with beautiful featured images that show up as thumbnails and you can even choose between a fixed width or full-width layout. The theme options are fairly simple to use and the threaded comments are great for encouraging user interaction. Finally, the Snapshot WordPress theme is completely translation-ready, meaning you can translate your website into another language with ease. Try out the I Am One WordPress theme if you’d like a modern and creative look for your photography business. The theme is completely responsive and the layout is setup as a one-page theme. This allows you to put all your important content on one page, making it readily available to your visitors. Other benefits include a responsive design so your website will look great even on mobile devices. 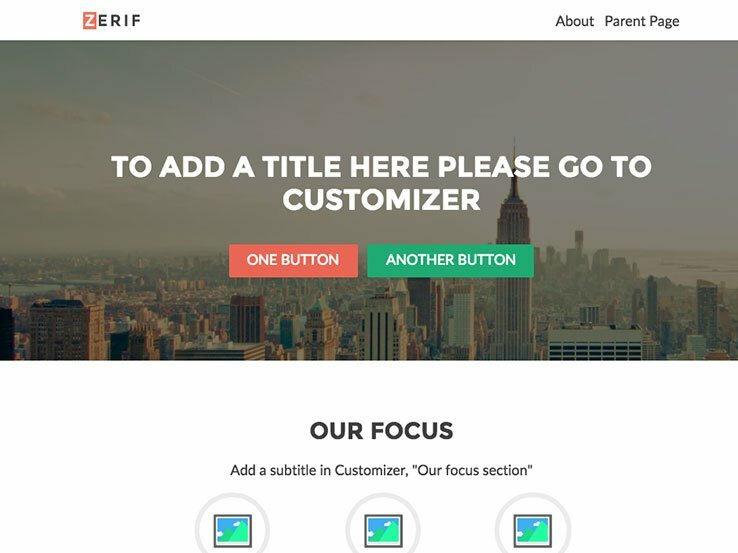 Five default templates are included with the theme and a parallax slider is a great way to feature your best work and to create a lasting impression on your visitors. The theme also includes a gallery , making it easy to create a professional look for your images. The social media integration ensures that your Facebook and Twitter pages don’t go unnoticed. It also allows anyone to share your content across social media. Use the blog to publish valuable tips and tricks to drive traffic to your website and increase your search engine rankings. The I Am One theme has translation files so you can create a multilingual site and expand your reach to an international audience. Finally, the theme integrates with plugins like WooCommerce, Contact Form 7 and bbPress, allowing you to further extend the functionality of your website. The Influence theme caters to photographers who yearn for simplicity. 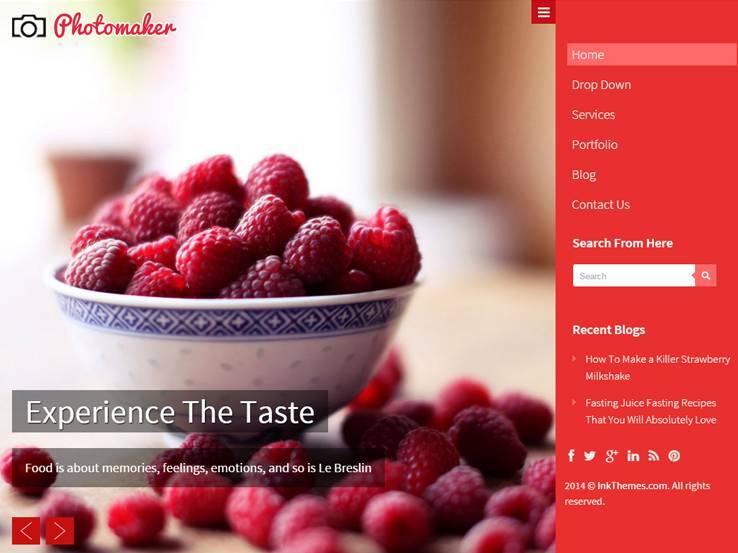 The theme provides a somewhat blank canvas to share your videos, photos, and other content. The theme has a modern design and easy to use customization options. The best part is that the theme is completely free and includes a responsive design which means even visitors on mobile devices will be able to enjoy your website. The theme integrates with the Page Builder plugin which allows you to easily add various modules and has a drag-and-drop interface. This feature also comes in handy for more experienced developers to quickly create client website. What’s more is that the theme has a custom background and menu which is a great starting point in terms of customization. The featured images that show up on the homepage are automatically resized which cuts down on editing time. The blog has a few post formats so you can add a variety of content. The blog is a powerful way to drive traffic to your website and to boost your search engine rankings. 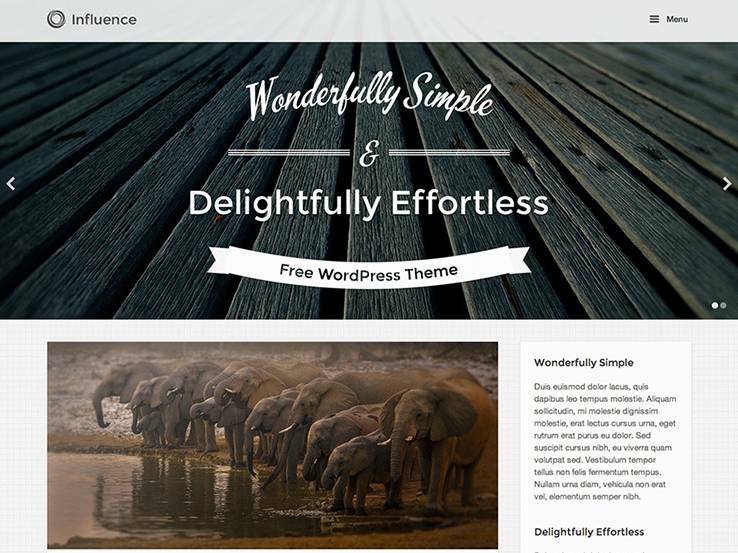 Overall, the Influence WordPress theme is one of our favorites on the list, so give it a try and see how it works for you. 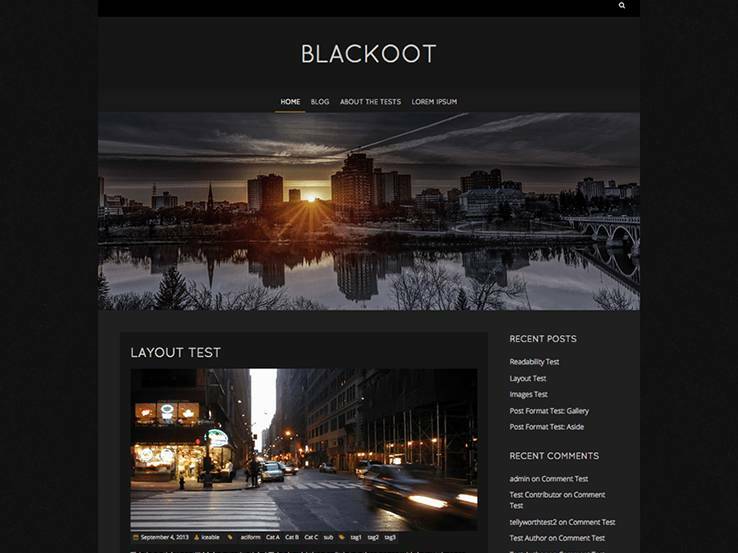 The Blackoot Lite WordPress theme delivers an incredible amount of features for a free photography theme. The default black background is a great way to make your photos stand out, while the blog feed is another creative way to showcase your photos. Each of the most recent blog posts is listed on the homepage where you can see featured images, titles, and descriptions. The elegant and multipurpose theme provides a plethora of features, including the ability to view the website on mobile devices. This is a must-have feature in today’s day and age when a majority of users are using their mobile devices to surf the Internet. The widgetized areas include the footer and the sidebars where you can include anything from email subscription forms to simple text widgets that have your contact information. Two custom menu locations are there to make navigation easier. The optional tagline display is complemented by a logo and favicon upload button. Custom header images and backgrounds are a great starting point for customizing your website, while the translation-ready files make it easy to translate your website. 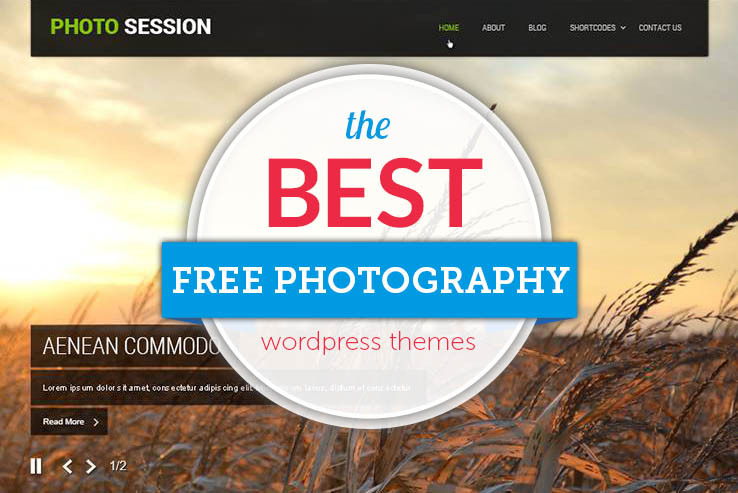 If you have any other suggestions about the best free photography WordPress themes, share your thoughts in the comments section below. I like Shutterstock PHP Template its most beautiful and responsive. We are going to soon its wordpress version. 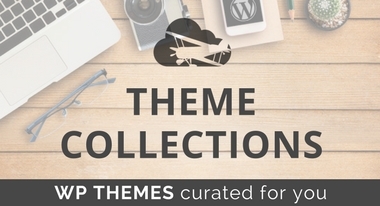 You have made a great list of free theme. Hi Kshitji,\n Thanks for the suggesting Beluga, we will check it out.